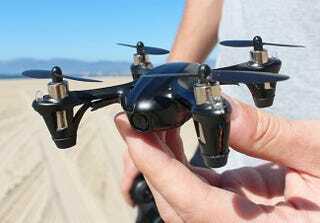 Last month, we offered a pre order discount on this limited edition Black Aerial Drone to Gizmodo readers. It sold out in 2 days. So, after securing more units, we've brought it back for Kotaku readers, who can get a discount of 53% off a Black Aerial Drone + Free Shipping.